Chad Pelletier knew exactly where a treasure-trove of Franco-American genealogical information was lurking and, when the entire collection became available, found himself at the right place at the right time. Thanks to his efforts and with the support of the Fort Kent Historical Society and the Acadian Archives at the University of Maine at Fort Kent, the massive collection of books, photographs, notes, maps and related genealogical ephemera is now indexed, cataloged and available to researchers and others interested in family history. Before finding its new home, the collection belonged to Leon Guimond, a Frenchville native who worked for many years pouring cement in Connecticut. Guimond now resides in a Madawaska health care facility, but Chad Pelletier has many fond memories of the local genealogist spanning two decades. Chad Pelletier recalls purchasing his first local history book from Guimond. Guimonds interest in family histories predated the Internet, so access to genealogical records most often had to be purchased in books or other publications. What makes the Leon Guimond Collection so special, Lise Pelletier said, is that for the most part it is primary source information. The collection includes more than 1,200 books and periodicals, dozens of articles and hundreds of photographs, maps and index card notes of family histories. Two years ago Chad Pelletier learned the family was interested in selling the entire collection, but timing and funding prevented the Fort Kent Historical Society from acting on the sale. Last spring, Chad Pelletier heard the collection was still for sale and at a price within reach of the society. Money in hand, Chad Pelletier immediately went to excavate and retrieve the historical treasure  all 80 boxes of it. Once delivered safely to the Acadian Archives, indexing and cataloging the collection became the job of archives administrative assistant Anne Chamberlain. Anne Chamberlain, administrative assistant with the Acadian Archives at the University of Maine at Fort Kent, displays a family tree compiled by Leon Guimond of Frenchville  There are treasures to be uncovered in the closets, attics, basements and garages around the St. John Valley. The key is knowing where to look  and recognizing a good thing when its spotted. As luck would have it, Guimonds computer and the information it contained were part of the collection, and with the help of Fort Kent native Allen Voisine, the information from those old floppy disks has been recovered and stored in a more up-to-date digital system. For Lise Pelletier, some of the more exciting finds in the collection are the books no longer in print. We now have some of the originals of these books, she said. Among them are the 45-volume set of Repertoire des actes de baptimes, mariages, sepultures et recensements du Quebec ancien (PRDH) containing exhaustive Quebec genealogical records and a 73-volume set of books published by the Jesuit missionaries covering day-to-day life among the Acadians of Maritime Canada and Louisiana and the Iroquois, Abanaki and Huron from 1610 to 1791. Because many of the books cover families and information not directly related to Fort Kent, Chad Pelletier said the decision was made to house the entire collection at the archives while keeping duplicate publications relevant to local history at the historical society center in the old Fort Kent train station. The collection at the Acadian Archives will be known as the Leon Guimond Library while the smaller collection housed at the historical society is the Leon Guimond Library Annex. Over the years, Guimonds research included Franco-American families in Maine, Quebec, Vermont, Rhode Island, Massachusetts and Ontario. Now the entire collection is indexed and searchable on the University of Maine Systems online URSUS cataloging database. The availability of the collection, Lise Pelletier said, could not come at a better time now that the first group of families has been identified to hold reunions in connection with the 2014 World Acadian Congress taking place around the St. John Valley, New Brunswick and Quebec. For Chad Pelletier, the acquisition of the collection is a dream come true. I personally knew Leon Guimond and visited him in Frenchville, Maine with my uncle Rock Cyr (who got me started in this great hobby). I am grateful to my cousin, Greg Cyr, for bringing this article to my attention and the Bangor Daily News for allowing me to post the above article which appeared in their Newspaper. FORT KENT - Chad Pelletier, President of the Fort Kent Historical Society, recently found a home for over 50 years of Franco-American and French-Canadian genealogical research collected by Leon Guimond of Frenchville at the Acadian Archives on the University of Maine at Fort Kent's campus and in the Fort Kent Historical Society Museum and train station. PRICELESS HISTORY - The Acadian Archives, along with the Fort Kent Historical Society Museum and train station will display Leon Guimond's collection of historical and geneological research. The Historical Society president has known Guimond and his work for 25 years. Pelletier, an avid historian, bought his first history book from Guimond when he was a teenager. Guimond moved to Connecticut from the St. John Valley to work as a cement laborer, but always maintained a passion for genealogy. In the 1950s and 60s and up until relatively recent, genealogists had to do the research themselves, or to buy books containing the works of previous genealogists. This meant travel to the various parish churches, which, in Guimond's case, often meant considerable distances from his home in Connecticut when he was researching birth, death, baptism, and marriage data in the Quebec province. 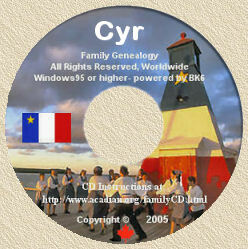 Back then, there were no databases and no Ancestry.com, said Lise Pelletier, Director of the Acadian Archives at UMFK. "Everything was from scratch and primary sources." It also meant a significant monetary investment. Guimond's collection probably cost the genealogist around $50,000, said Chad Pelletier. Health issues required Guimond to move to a health care facility in Madawaska, and his family began to look for the right home for his legacy. "We were very lucky to buy a whole library already set up for [cost of] the salvage of the paper," said Pelletier. "I was just thankful that I was in the right place at the right time." Lise Pelletier said 1,224 books and periodicals were catalogued in the Archives from the massive collection, which total excludes various maps, documents, articles, obituary cards, photos, CDs, and more that are part of the assemblage. Pelletier said he spent numerous evenings, weekends and days off from work packing the collection into 80 boxes for transport. The Historical Society donated most of the materials to the Acadian Archives, which has greater resources for the preservation and conservation of a collection such as this, but duplicates will be housed at the Fort Kent Historical Society Museum and train station. The Acadian Archives collection will be known as the Leon Guimond Library, and the Fort Kent Historical Society collection as the Leon Guimond Library Annex. Lise Pelletier said some of the books in the collection are no longer in print, and others contain records lost to parish fires. Guimond created a very searchable database of the parish register information, which the Archives will maintain as part of the collection. Fourteen volumes of the collection contain Guimond's original research. "It's unbelievable," said Pelletier. "He has books that are virtually like encyclopedias." She said none of the reference books can leave the Archives, but the entire collection is open to the public. Pelletier said about familial data in general, "A lot of people think the [historical and genealogical] information they have is not important. They're very precious. The family history is sometimes more important than the news we hear." She said things like old journals and store ledgers can give valuable information about what life was like in those times. She also assured family members who are concerned about losing access to that information if they donate the materials to the Archives that the family members can set the level of access to that information at whatever level they choose, and that they can choose to leave copies of their information at the Archives if they want to hold onto the originals. The Fort Kent Historical Society is interested in obtaining commercial bookshelves for storage of the Annex materials. Anyone with a suggestion about this should contact Chad Pelletier at 834-2115. Grateful to Fiddlehead Focus and author Julie Daigle, for allowing me to reproduce the above article. FRENCHVILLE - Leon A. Guimond died peacefully Feb. 13, 2012, surrounded by his family at a Madawaska health facility. He was born June 14, 1932, in Frenchville, son of Albert and his birth mother, Leona (Marquis); and stepmother, Anysie Guimond. May his soul and the soul of all genealogists who predeceased him, rest in peace.